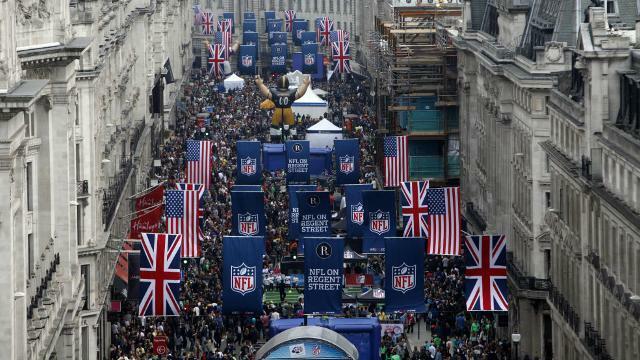 NFL fans in London flock to Regent Street for another rendition of the NFL International Series. 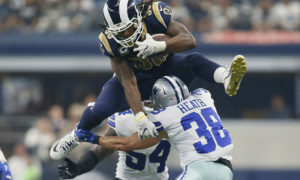 The Los Angeles Rams are across the pond this week to face the New York Giants in London as part of the NFL’s annual pilgrimage to the English capital. 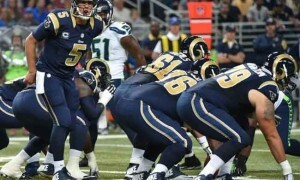 The Rams have played three preseason games and a regular season game on foreign soil. In those four meetings, Los Angeles has compiled a record of 3-1 in such games. 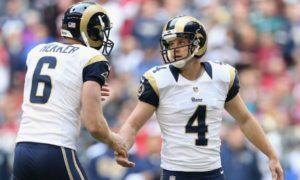 Let’s take a look at past games the Rams played abroad. The first game the Rams played outside of the United States was held at the original Wembley Stadium, home of English football (association football that is). Entering his fifth season with the Rams, head coach John Robinson led his team half a world away to meet QB John Elway and the Denver Broncos. 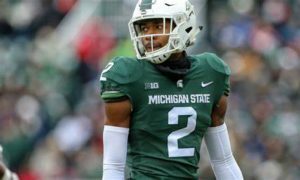 While the starters only played a handful of series, the game turned out to be close with the Rams squeezing out the 28-27 victory. Los Angeles finished 6-9, while Denver made it to Super Bowl XXII that season. 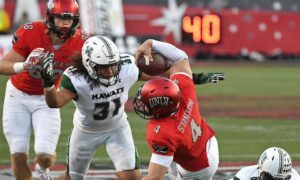 The eventual Super Bowl champion San Francisco 49ers squared off against the Rams, this time in the Far East for Japan’s second ever NFL game ever played there. 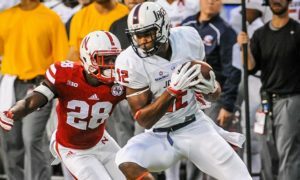 Coach Robinson’s team defeated the 49ers in a 16-13 nailbiter preseason contest in a clash of two California teams playing across the Pacific. 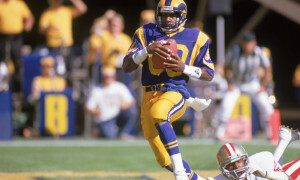 The 1989 Rams produced a successful season, getting to the NFC championship game against the 49ers. 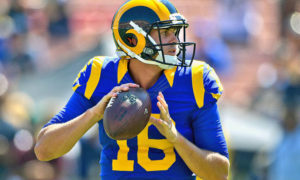 The Rams played their last international preseason game in a different country and continent, beating the Kansas City Chiefs 19-3. The 1990 Rams traveled to West Berlin, where Coach Robinson’s men once again were triumphant in a preseason game. 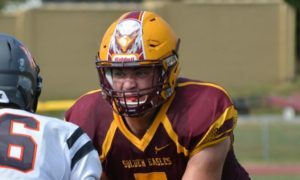 The end of the Cold War in the German capital ushered in a new era of NFL football in the newly unified Germany. Hopes were high after the Rams once again proved to be triumphant in games that didn’t really mean much, eventually going 5-11 in 1990. The Los Angeles Rams have not played a preseason game on foreign soil since. 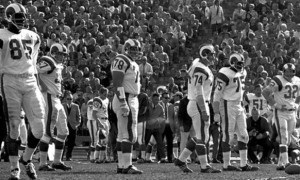 The latest game the Rams played abroad actually counted in the record book. Four seasons ago, quarterback Tom Brady and the New England Patriots demolished the St. Louis Rams 45-7 at the new Wembley Stadium in London. Brady threw for 304 yards and four touchdown passes. 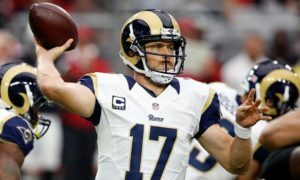 Rams quarterback Sam Bradford threw for 204 yards, one touchdown and an interception. 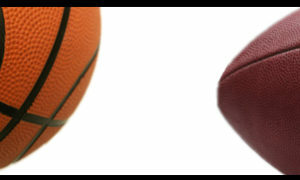 Patriots running back Stevan Ridley rushed for 127 yards and scored a touchdown in New England’s victory over St. Louis. Martin Cruz is a staff writer for Rams Talk. You can find him on Twitter with the username @MCruz1988.